March 2nd is a day to celebrate an amazing author’s birthday-Dr. Seuss! First, I will be taking my kids on a virtual field trip to www.Seussville.com There are great printables and games at this site! 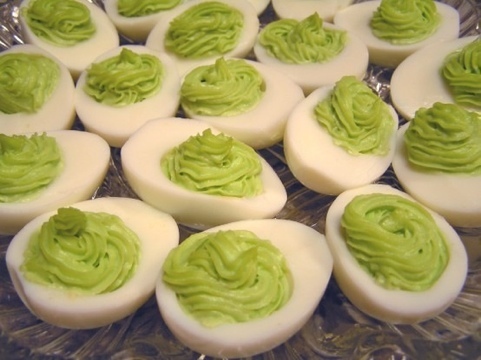 Next, I plan to start off the week with some tasty green eggs and ham! 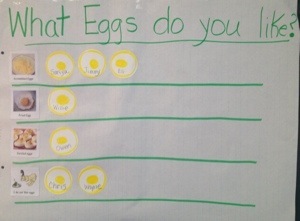 Green Eggs and Ham Activities – 3 pages of free printables that I made for to graph favorite types of eggs that children like. 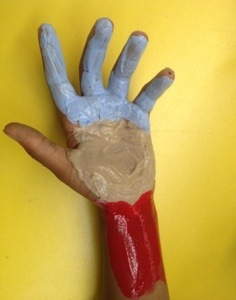 This is a fun activity that my children really enjoyed! 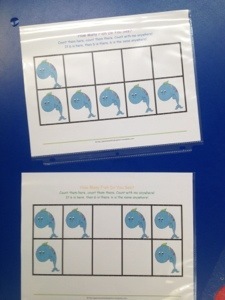 “Egg Flipping” Math Learning Station Game! 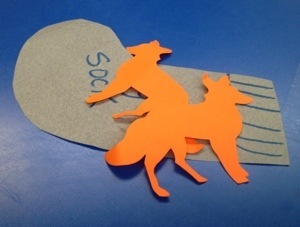 – I simply wrote numbers 1-20 on oval die-cuts and the children had to name the number and flip it with a spatula onto the paper plate. Oh, how they loved this! 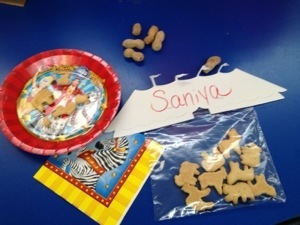 Fun Classroom Snack Foods! 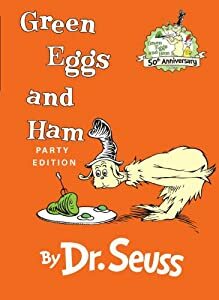 Perhaps this will entice our children to eat green eggs and ham?!? 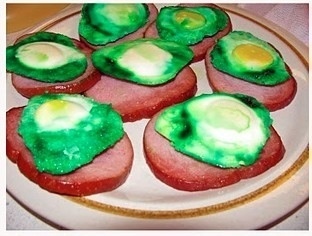 Maybe by making the green eggs and ham more interesting, they will be more interested to eat them! 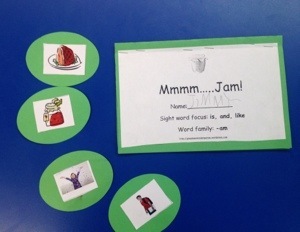 Emergent Reader Book – “Mmmm….Jam” This goes great with “Green Eggs and Ham” as it has -am rhyming words and “ham” is one of the vocabulary words in the book. 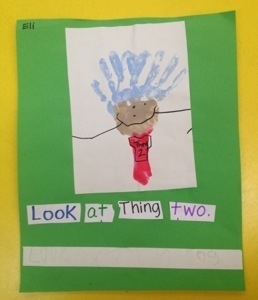 I used this book in my Guided Reading group and printed out a copy for each of my students. On Friday, they took their own copy home. 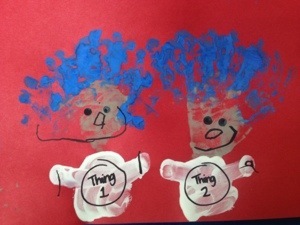 Thing One and Thing Two are great characters to introduce the sight words “one” and “two.” We made these things with hand prints. The next day, sharpie markers were used to draw the rest of the features. 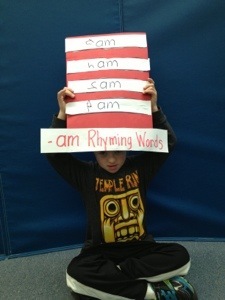 Fine Motor Rhyming “Cat-Hat” – This hat started as a super large 12×18 red construction paper. Next, I drew lines onto an 8×10 size of white construction paper (8 strips will fit). I cut it in half and gave each half to a child. 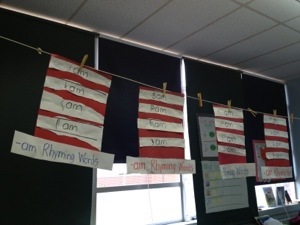 Each child wrote their own initial sounds/letter before the -am on the white strip. Then, they cut on the line, to cut out their 4 white strips. Finally, they glued their white strips to the red and the hat is finished! I think I made that sound way harder than it really was-sorry! See how big it is – it’s huge – the kids loved it! Practice Cutting with this Thing! 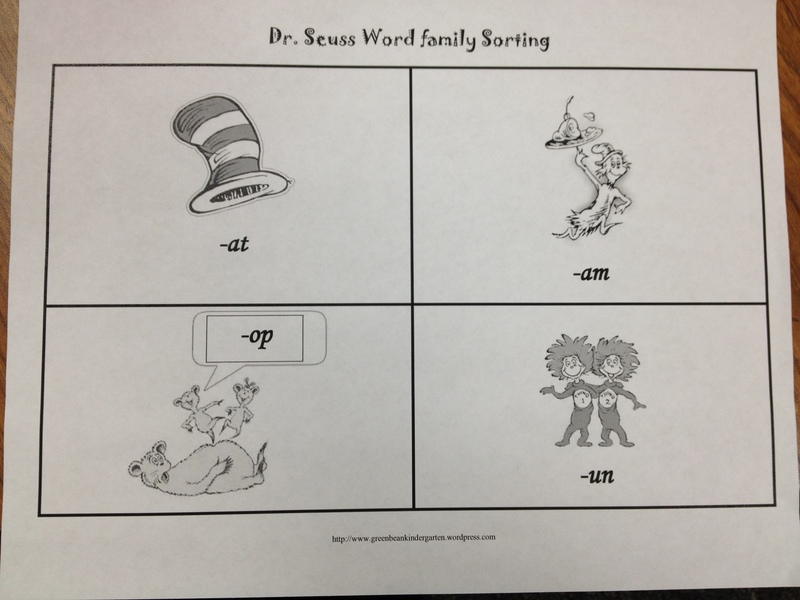 A Week’s Worth of Dr. Seuss Lesson Plans – Compliments of GBK! Enjoy! 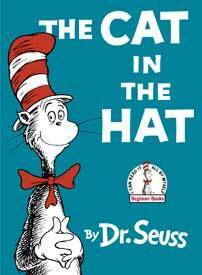 Monday – Listen to Justin Bieber read “The Cat In The Hat.” Discuss rhyming words in the story. 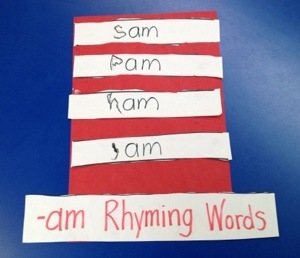 As a class, make a list of sentences about the cat and his hat, that contain color words, like: “The black cat has a red and white hat.” “His hat is red and white.” Student’s will then make a cat’s hat and on each stripe, write their own sentences. 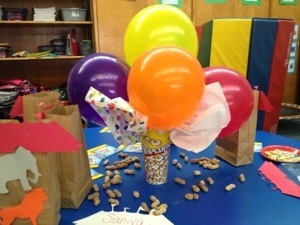 Wednesday – Read “Hop on Pop” and answer yes/no questions about several illustrations in the book….Is the pup up? Is the pup in? Can you hop? 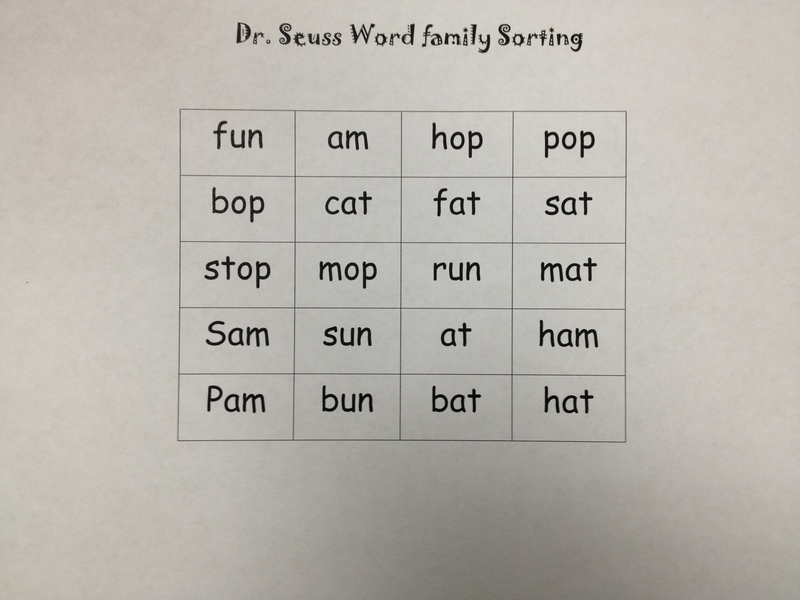 Next, the students will independently complete the “yes” and “no” sight word question sheet from the seussville website. 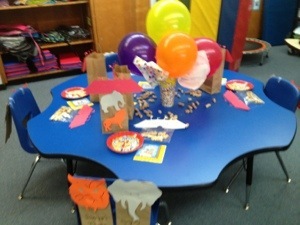 Thursday – Read “Horton Hears a Who” and learn about how everyone is important, no matter their size. Friday – 1. 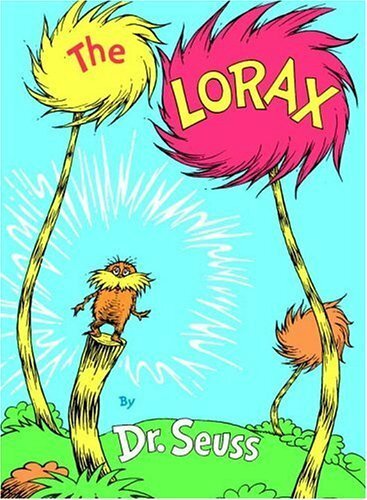 View “The Lorax” movie trailer and then read the story. 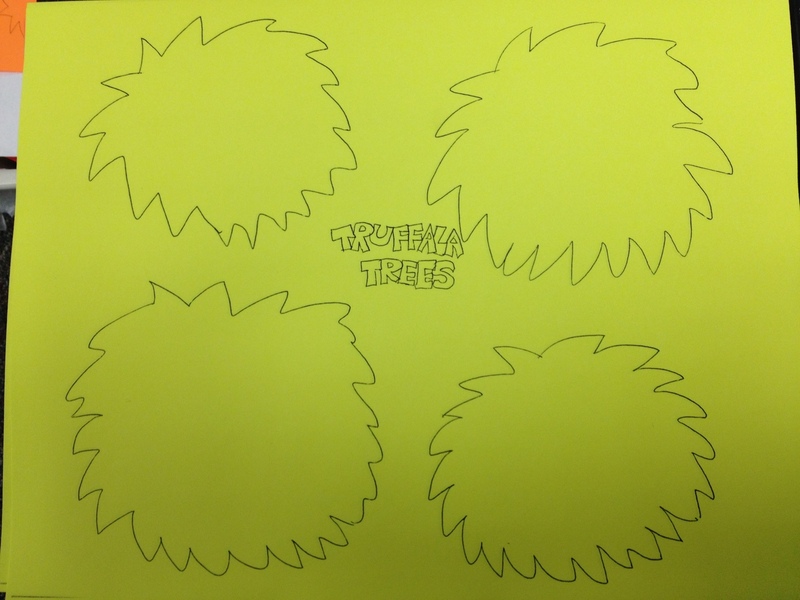 Discuss the purpose of the story (conservation-trees) and make a concept web about what we learned. 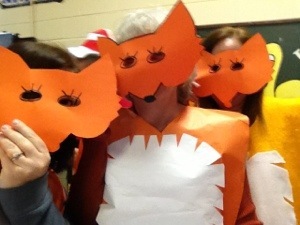 Make a Lorax face with orange construction paper cut-outs of the moustache and eyebrows. Write a summary about the story using complete sentences. 2. 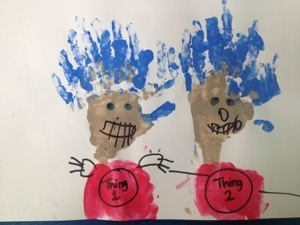 Create “Thing 1 and Thing 2” shirts but with numbers counting by 2’s or 5’s. 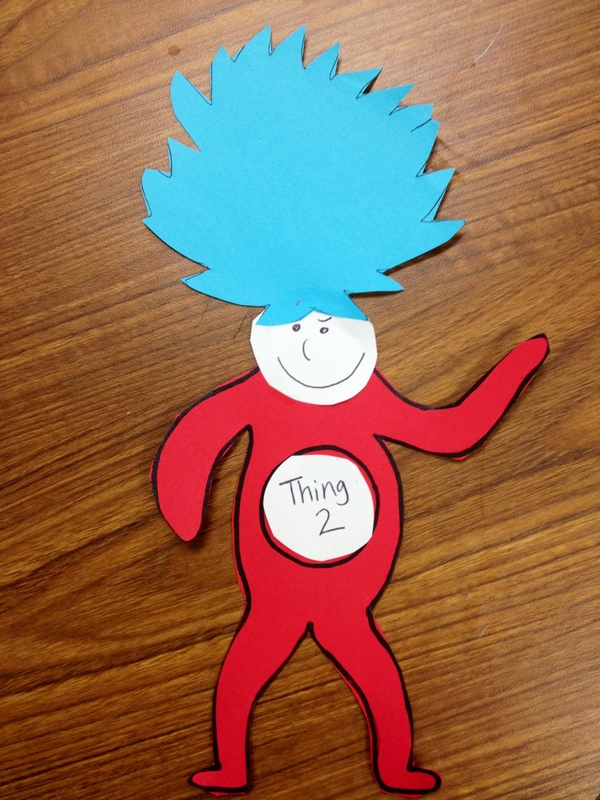 Create blue hair by gluing blue construction paper pieces to a sentence strip. 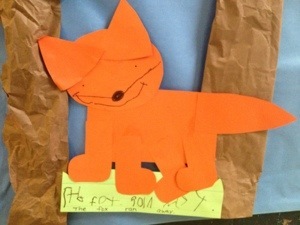 After we decided words that do and do not rhyme with “fox,” each child created their own fox with pre-cut shapes. 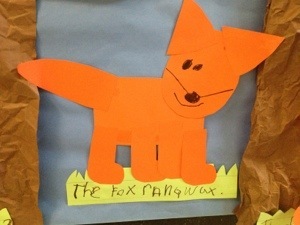 Then, they drew the eyes, nose and mouth and wrote a sentence about their fox. 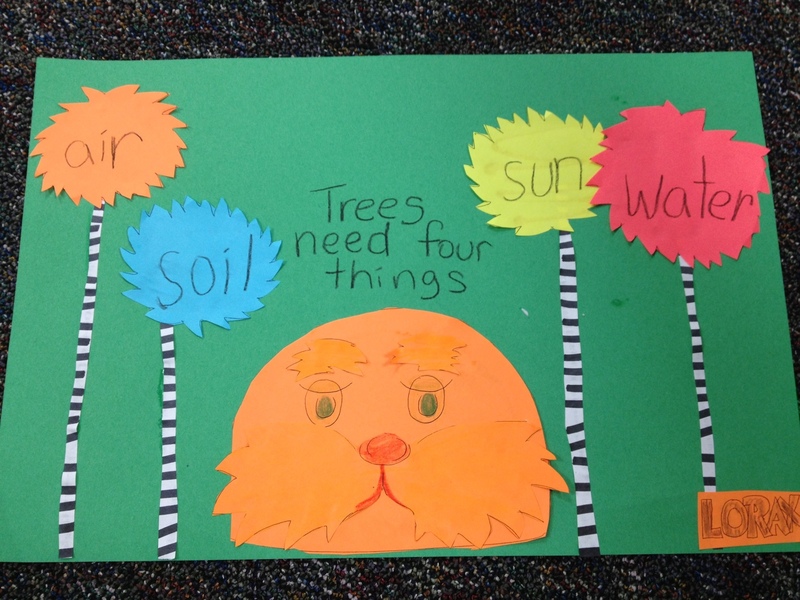 I showed them how to snip a green sentence strip to look like grass, for an added “cute-ness” touch! 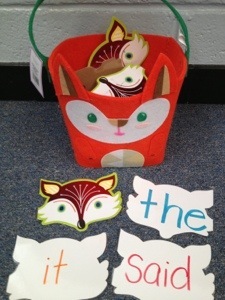 Some students were working on /wh/ questions answering /what?/ so we tied in the fox and the forest into our Dr. Seuss lessons. 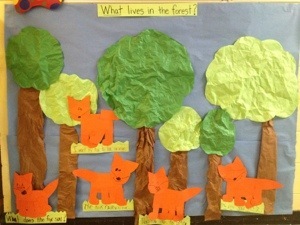 What lives in the forest? Foxes do! 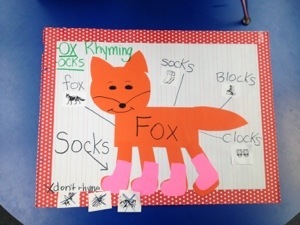 Preposition Foxes – My class was having trouble learning prepositions, so for a Math Station and small teacher led group, I had them follow my instruction to put the fox “under the sock,” “in front of the sock,” etc….. Later in the week, I actually remembered to bring real socks to class and we played the game with real socks and plastic bears. 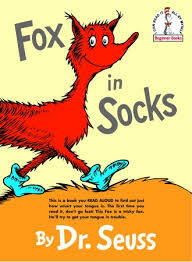 A Fox in Socks is funny, right? 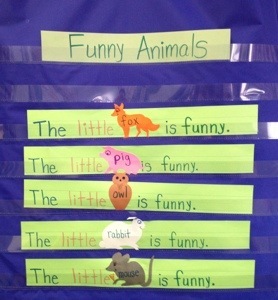 So, here is a Pocket Chart poem that I created to go along with the story. 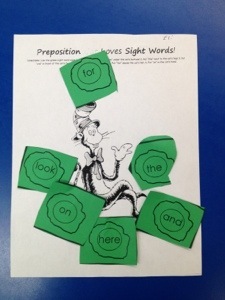 This was a great activity that reinforced sight word reading. 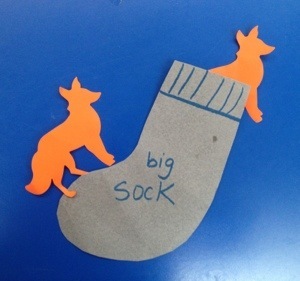 The children loved reading the words together and they really loved telling me how we could draw funny faces onto the animals to make them look more funny! 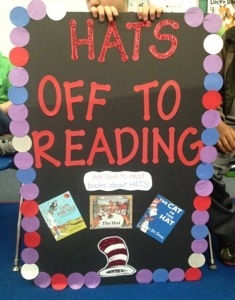 “Read Across America” Day – It is true….the teachers get way more dressed up than the kids. There is no denying it! 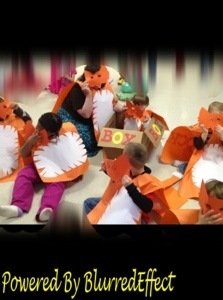 Here is our crew of “fox in socks!” Don’t you just love our paper outfits and paper masks?!!! I think I must be obsessed with paper! 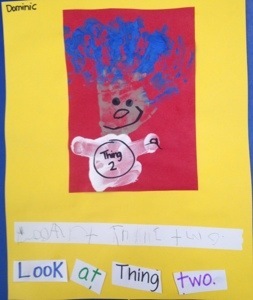 During “Read Across America” week, our school made posters to hang in local businesses to promote reading. 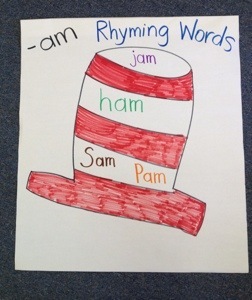 Since we have been reading about hats, this is our poster. It will be hanging in the hat store! How cool is that! 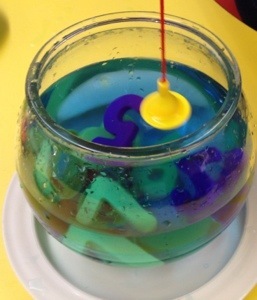 I have not even read the “One Fish, Two Fish” book to my class this year yet, but these are some things I have made. 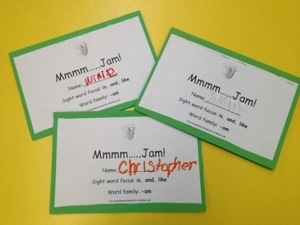 My kids have already been using them and enjoying them too! 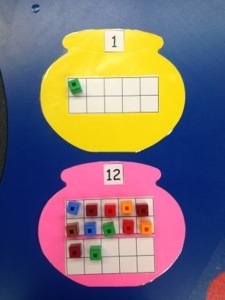 “Ways to Show 6” using the Ten Frame – I have it in a page protector for the students to practice with.